Alas, the final day of Jeep Beach was finally upon us. The contrast of cold beer and warm, sun-baked skin would soon be replaced with the similar dichotomy of airline seats and stale coffee. 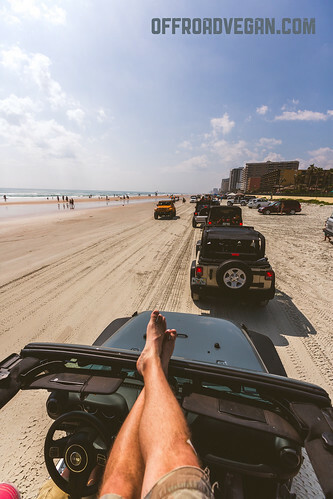 Jeeps and the beach go together like America and apple pie. The final day’s plan was simply to join the annual parade – all the Jeeps staged over by the river and parade to the beach and along it’s length. I drove while Jason manned the camera. (Photo courtesy Jason Martin). However, the night before we were told of horror stories of years past: huge traffic jams, hours of being stuck in the sweltering heat, and being unable to leave. We decided to be spectators as my flight was out of Orlando and being stuck was really not an option. 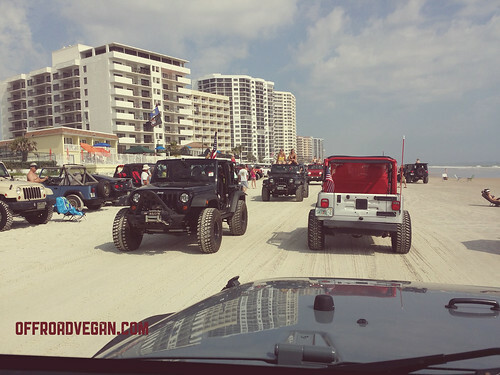 However, on our way to find a spot, we came across the very long line of Jeeps entering the beach – and it was the beginning of the line! 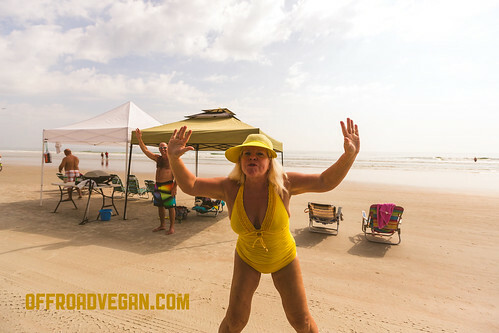 We quickly turned and merged into the group, and were on the beach in five minutes. The beach was a two-way street with miles of Jeeps. 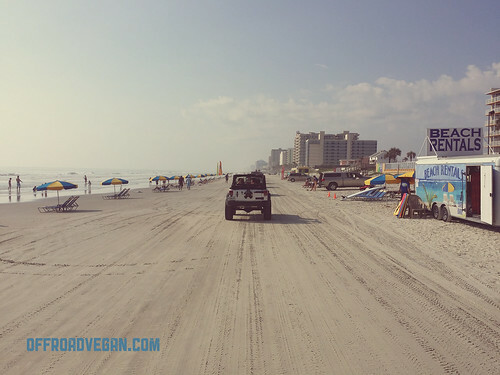 Jeeps and people of all walks were parking along the beautiful Daytona Beach. We saw everything from old Army Jeeps, faithfully restored CJs, beautiful JKs, and everything in between. The only constant was the endless smiles, horn honks, and good times. After the parade, we returned to the condo to put Jason’s JK back together. I followed him on his Victory back to Orlando, and prepared for the long flight home. 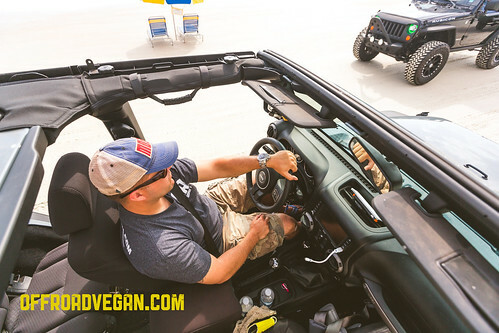 My Jeep Beach wrap-up is here.